How Can We Protect and Ensure the Continuous Availability of Open Pollinated Varieties? Open pollinated seeds in seed packets are usually not identified as open pollinated, whereas F1 hybrid seeds are, with F1 written on the seed packets. Sometimes the F1 is small printed and on the back of seed packets. If your seed packet does not have F1 written on it, then it is an open pollinated variety. The most obvious way to protect OP varieties is to grow them. This may be a challenge with species like sweet corn, calabrese, cucumbers, spinach, but try anyhow to source OP’s to include them in your cropping even if you mostly grow these as F1 hybrids. You can adopt a vegetable from Heritage Seed Library. By doing this you will be helping to secure the future of some of the UK’s rarest and most interesting vegetable varieties. You’ll be sent an adopt pack with information on the variety you are helping to protect, along with information on the Heritage Seed Library. Some varieties (as indicated at www.adoptaveg.org.uk) even come with a pack of seeds for you to grow at home. Source OP varieties through seed catalogues, direct from seed companies, garden centres, hardware stores and agricultural merchants. See Seed Links. Request availability of OPV’s from seed companies of the species you use most, if they are not available. Request that seed packets of OP varieties have the word and or logo printed on the packet. Label your produce with the suggested logo and or use the word ‘open pollinated’ for your produce. Logo and word can be used as stickers or printed on boxes and bags. OP varieties can be sold using variety names, like for example, Autumn king, Chantenay Red Cored, or Nantes Milan, for carrots, King Richard, Tadorna, or Blue Green Winter for leeks with the logo attached. Why not distinguish the vegetable varieties we buy, just as we buy King Edward potatoes, Russet apples and Conference pears? This way we might learn to appreciate the produce more if names were attached to each variety. It would enable us to ask for favourites by name and to engage positively in the safe-guarding of food plant diversity by further encourage the growing of open pollinated species. Learn about the other side of your food crops through experiencing the wonder and beauty of how your vegetable species go to flower and seed by allowing a few to do so. It’s fascinating, revealing and the insects love it. Learn to save seeds of some of the species that you grow by organising a seed saving event or introductory talk. Plan a follow up seed event as there will be a lot more to discover and learn. Offer a workshop if you know the essential principles of seed saving. Share your knowledge, your experience and your insight into seed growing. Adopt an open pollinated variety and maintain it through saving its seeds. Become an open pollinated seed producer. Swap your seeds through attending a seed swap near you or organise your own in your locality. Learn to appreciate the beauty and individuality of our food crops. They deserve better than to be locked into rigid uniformity and subjected to prolonged in-breeding. 80% crop biodiversity has been lost in Europe while the Worldwide loss has been more than 75% in the last 100 years. Food and seeds go hand in hand as they have always done and as more people take to food growing at local levels so too should the seed be cultivated and valued in a likewise manner. • are naturally pollinated - by insects or wind; not enforced pollination or in-breeding. 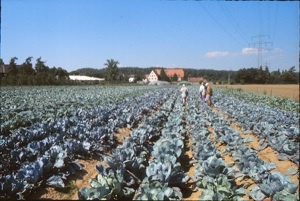 • contribute to food plant biodiversity (of which we have lost 80% in Europe this last century). • are adaptable - they are genetically variable and therefore able to adapt to climate change, to particular landscapes and environmental conditions and evolve along with them. 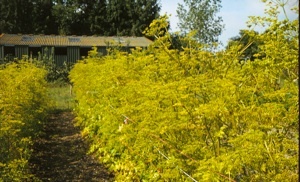 • can be seed-saved by farmers, market gardeners, home gardeners and allotment holders. 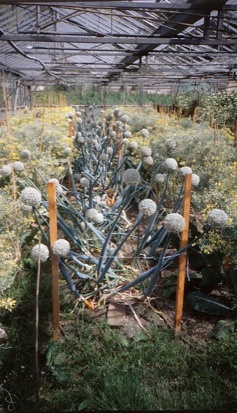 • seed saved will breed true-to-type plants, resembling parent plants - unlike hybrids. • are non-GM, non-hybrid, and non-patented.